22. Pro 1:22 - "How long, ye simple ones, will ye love simplicity? and the scorners delight in their scorning, and fools hate knowledge?" A. Notice first of all that God here instructs men by questioning. i. This is the first question that appears in the book of Proverbs. ii. Interestingly, it is a rhetorical question in which the answer is implied in the question. iii. Teaching by asking questions which are formulated to prompt the student to come to the truth without it being expressly declared to him is known as the Socratic Method, named after the Greek philosopher Socrates who is known for teaching in such manner. iv. In truth, it should be called the Divine Method since God was teaching by this means long before Socrates. v.	The Lord began this technique of teaching in the garden of Eden after Adam and Eve sinned when He asked them some soul-searching questions (Gen 3:9, 11, 13). a. These were the first questions God ever uttered in the history of the universe. b. They were asked for the same purpose that God asked them to men in Proverbs chapter one: to expose their sin, cause them to acknowledge it, and bring them to repentance. B. These searching questions asked by wisdom were pronounced in the chief place of concourse (Pro 1:21). i. This means that the majority of people fall under this censure. ii. Simplicity, scorning, and hatred of truth are not isolated, but rather, are systemic problems in the human race. iii. Foolishness is bound in the heart of a child (Pro 22:15). iv. For those who are not chosen of God, wisdom's words remain foolishness, but to those who are saved, they are the power of God (1Co 1:18). v.	Wisdom's cry of repentance is aimed at, and will only be heeded by, her children. i. This question implies that this deplorable condition has been ongoing for a long time. ii. It also shows that it has been going on for too long. iii. Jesus Christ, the wisdom of God (1Co 1:24), had to ask His disciples a similar question: "how long shall I suffer you?" (Mat 17:17). iv. Thankfully, the Lord "is longsuffering to us-ward" (2Pe 3:9). D.	How long, ye simple ones, will ye love simplicity? i. This rhetorical question reveals that simple ones love simplicity and suggests that they should not. a. Simple adj - 9. Deficient in knowledge or learning; characterized by a certain lack of acuteness or quick apprehension: a. Of persons (and animals). b. Simplicity n. - 2. a. Want of acuteness or sagacity; lack of ordinary knowledge or judgement; ignorance; rusticity. c. A simple person; a simpleton. c.	Ignorance is not a virtue but a vice. d.	Those who are more simple and ignorant than they should be, given the mind that God dealt to them, should not be proud of it, but rather ashamed. ii. Most religions require the brain to be checked at the door. a. "Once he does so, he has no further use for his reason. He enters the Church, an edifice illuminated by the superior light of revelation and faith. He can leave reason, like a lantern, at the door" (Explanation of Catholic Morals, p. 76)." b. True Christianity, which is a religion of knowledge, is not so. iii. Every Christian should be ever growing in the knowledge of God throughout his life and should never be content to remain stagnant (Pro 8:10; Pro 18:15; 2Pe 1:5; 2Pe 3:18). E.	...and the scorners delight in their scorning...? i. The question implies that scorners do indeed delight in their scorning. c.	Delight v. - 1. a. trans. To give great pleasure or enjoyment to; to please highly. 2. intr. (for refl.) To be highly pleased, take great pleasure, rejoice: a. in or to do (anything). d.	In other words, scorners take great pleasure in mocking, deriding, and speaking contemptuously of the wisdom of God. ii. Unregenerate sinners love their sin which is why they will not believe and obey the gospel. a.	Jesus, the light of the world, came and preached to them, but "men loved darkness rather than light, because their deeds were evil" (Joh 3:19). b. When He told them the truth, "they laughed him to scorn" (Mat 9:24). c.	They later crucified Him, fulfilling the prophecy that they would laugh him to scorn (Psa 22:7-8). iii. Scorners are not in good company. iv. They better heed wisdom's call to cease delighting in their scorning before they meet the fate of their fellows. F.	...and fools hate knowledge? i. A foolish scorner hates to be reproved which is why he will not go unto the wise (Pro 15:12). ii. If fools don't want to be dead fools, they must stop hating knowledge and start embracing it (Hos 4:6). iii. 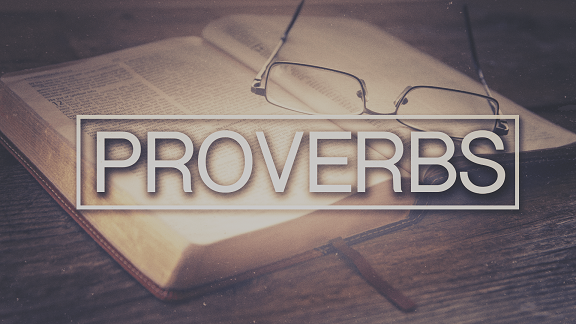 Knowledge would preserve the fool (Pro 2:10-11) and deliver him (Pro 11:9). iv. But he is too stupid (Pro 12:1) to recognize it and instead bites the proverbial hand that feeds him. G.	Despite the simple's love of simplicity, the scorner's delight in scorning, and the fool's hatred of knowledge, wisdom nevertheless cries unto them to repent which brings us to the next verse.